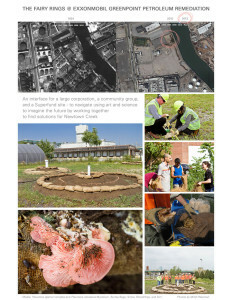 LandLab is a unique artist residency program that integrates artistic creation, ecological restoration, and education. A joint project of the Schuylkill Center and the Center for Emerging Visual Artists (CFEVA), LandLab offers resources and space here at the Schuylkill Center, on our 340-acres of woods and meadows for visual artists to engage audiences in ecological stewardship through scientific investigation and artistic creation. 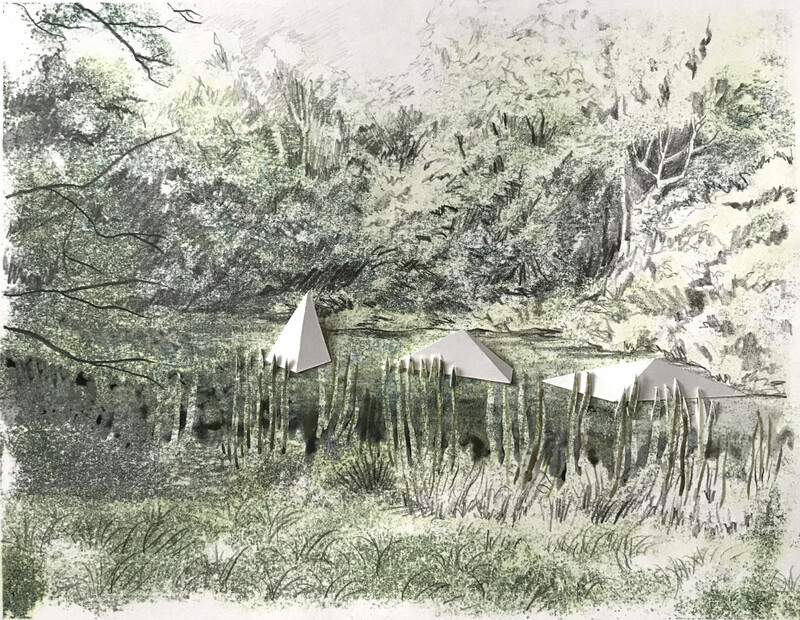 LandLab residencies will create innovative installations that prevent or remediate environmental damage while raising public awareness about local ecology. It’s a way that we bring different parts of our mission work together – artists working with people to engage with our land in a meaningful and restorative way. If you’ve been coming to the Schuylkill Center for the past few years, you might remember that we offered LandLab for the first time in 2014-2015, with major support from the Knight Foundation and the National Endowment for the Arts. Three of the four LandLab 2014-2015 artist works are still on our site – Native Pollinator Garden, Future Non-Object #1, and Interwoven – all continue to grow and evolve on our site, part of our commitment to invest in artistic experiments that require time to realize their fullest expression. In a fairly fraught political year for the arts and the environment, we were able to once again secure support from the NEA to offer LandLab to a new crop of artists for 2017-2018. 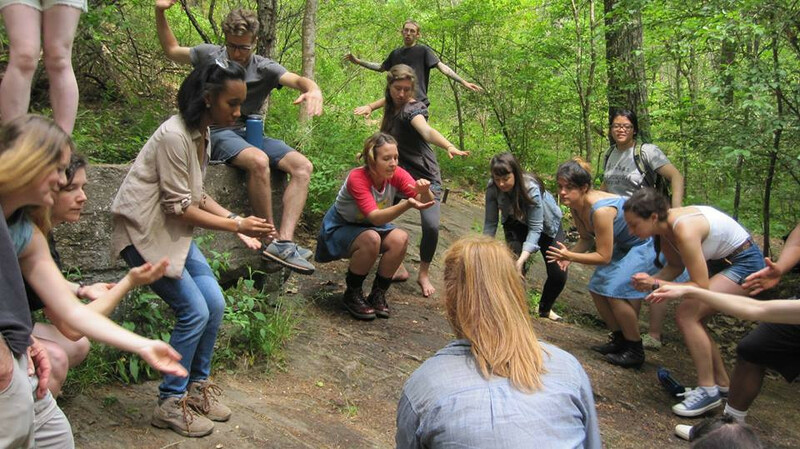 The selected artists will conduct their projects through yearlong residencies, where they will engage with the Schuylkill Center’s property, conducting research to develop and create installations which intervene with the land and demonstrate ecological solutions. This summer, the artists have made initial visits to our site to meet with staff, and as the fall goes on, they will be digging into their projects and questions, both learning with us and teaching us much. We selected three artists to participate in LandLab this season, and I’m thrilled to introduce them to you. 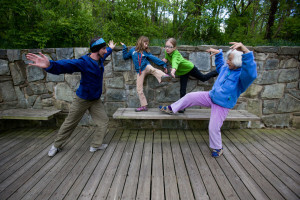 First up, Dance Exchange is a non-profit dance organization based in Takoma Park, Maryland, known for innovative performance projects and creative practices that engage communities and partners across wide ranging disciplines. Dance Exchange creates performance engagements that speak to the issues of a place and the people that steward that place, collaborating to advance how individuals and communities come together to create change in the world. Cassie Meador, Choreographer and Executive Artistic Director of Dance Exchange, will be leading the project. She told me, “the LandLab residency offers an incredible space as a choreographer to build on and discover new interdisciplinary approaches that can expand public consciousness of the environmental challenges and opportunities we face today.” We’re particularly excited to work with dance as a new discipline in our art program through this project. Kate Farquhar is our next LandLab artist. This Philadelphia based artist and landscape architect in fact shares some history with the Schuylkill Center. For LandLab, Farquhar conceives a collection of mythic micro-environments – called Synestates – to thoughtfully insert materials or elements from the cityscape into the Schuylkill Center’s wild and managed lands, speculating about future possibilities for contact between people and the environment. Last, Jan Mun is a media artist that creates social sculptures working with digital and living media. The landscape has become her framework to unfold stories about others and herself by using a combination of artistic and scientific processes that manifest in the form of interactive installations, photography, performance, and bio-art. An artist who loves to do her own science, Mun has been involved in many exciting mycoremediation projects (click right for details)- using mushrooms to clean up soil in heavily polluted urban environments. As a LandLab artist, Mun will be sharing her passion for mushrooms as “ecological instigators,” ultimately constructing The Mushroom Vortex Maze (rendered below). 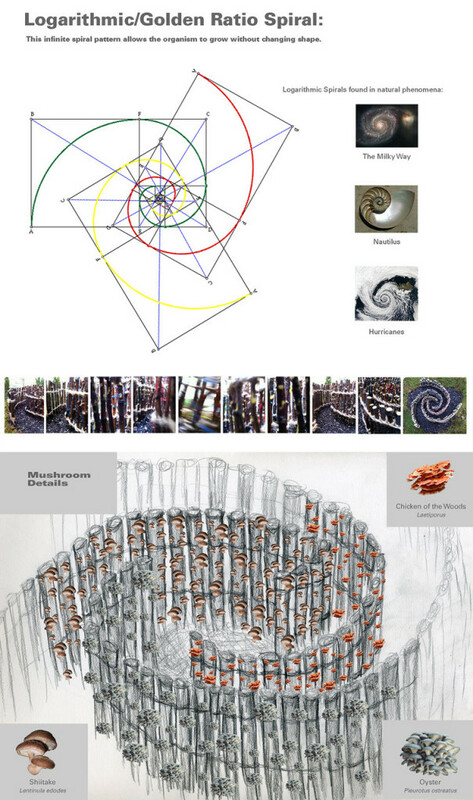 The piece will be constructed using wooden logs inoculated with three types of edible mushrooms to create separate rows that each forms a logarithmic/golden ratio spiral. By entering the maze to forage for mushrooms, a visitor can easily be dislocated at the center and exit from a different path than where they entered, changing their trajectory. These three projects will be ongoing through the summer of 2018. The final artworks will be on view at the Schuylkill Center, and an exhibition documenting the LandLab artists’ process will be on view in the gallery at the Center for Emerging Visual Artists in Center City in the fall of 2018. Opportunities to engage with the artists’ projects will be ongoing throughout the year, so stay tuned for how you can participate in the artists’ work. The first will be happening on October 14th, when LandLab artists Jan Mun and Kate Farquhar will be on site at the Schuylkill Center as part of the Philadelphia Open Studio Tours from noon to 5pm – details here. This entry was posted in Environmental Art, LandLab. Bookmark the permalink.